The second release of Stick Running Supreme: "Grandma's Sandwich", offers a refreshing art style that adds realism and quirkiness to the fast paced high score genre. Grandma’s Sandwich is a challenging and fun but simple, easy to learn and a perfect pick-up and play style game. Tap to slap! That’s all there is to it! 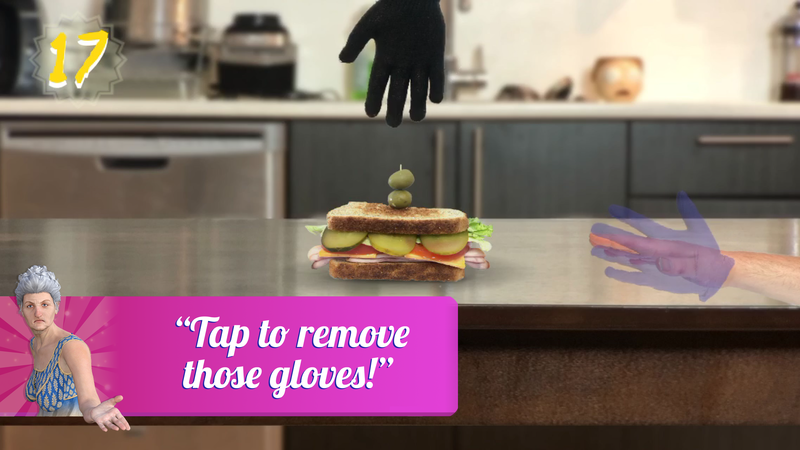 Tap to slap away the protective gloves then drag the hand away before your nosy neighbor steals that mouthwatering world renown sandwich that your Grandmother has made (with love) just for you. 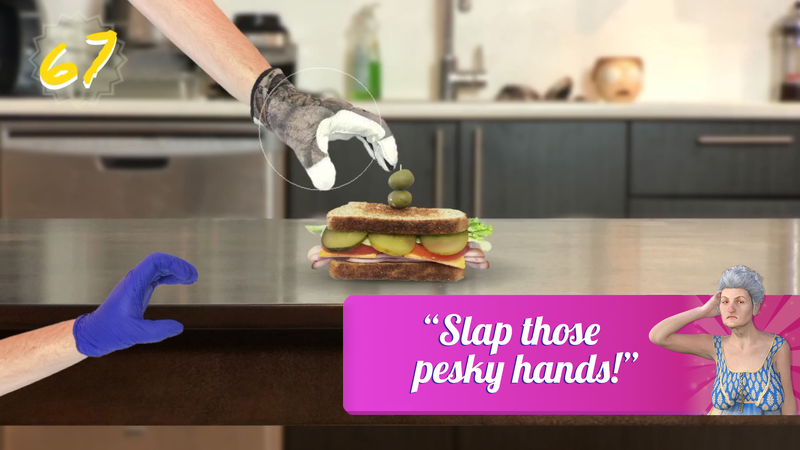 We know that your grandma made you this delicious sandwich, but it is so good that a pesky neighbor wants it, and will go to extreme lengths to get it! So be careful and don’t forget to protect that beautiful creation for as long as possible as your neighbor returns with an arsenal of increasingly more protective gloves. As you may recall, we created this app game with budget in mind. 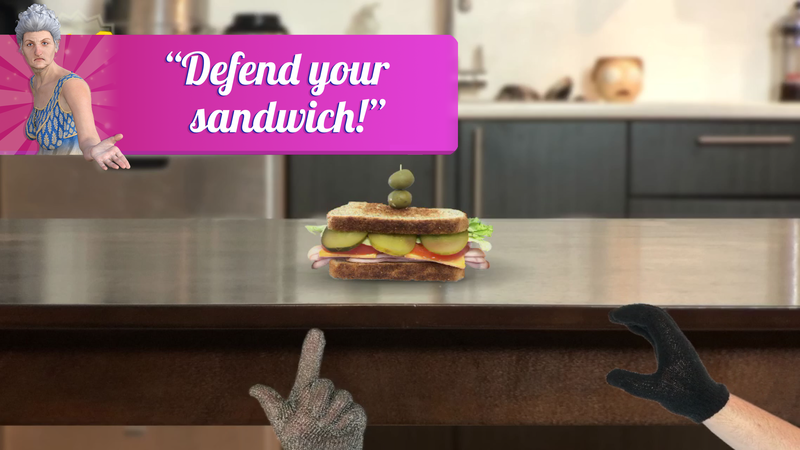 Our goal for Grandma’s Sandwich was to develop the game using minimal financial resources. 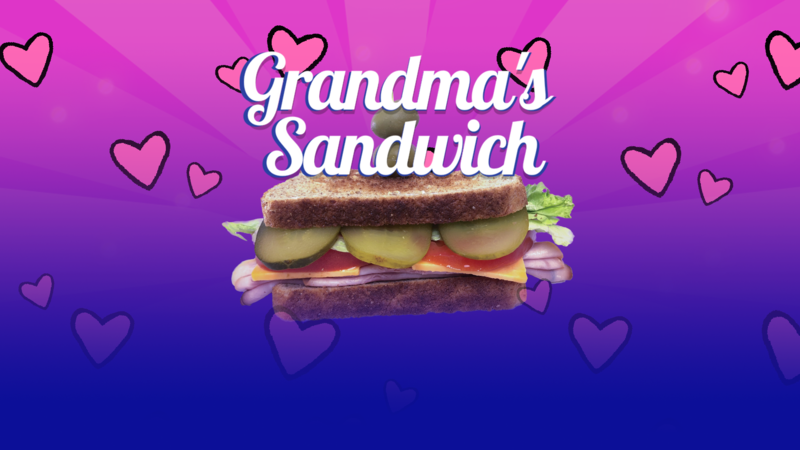 You can find out the details of how much we spent during development in How We Created a Mobile Game On a Budget and How We Created a Mobile Game On a Budget [Part 2] which are our devlogs for Grandma’s Sandwich. We succeeded in creating an appealing art style with only the equipment already available to us and had no need to hire an outside artist to draw assets for our app game. Sounds effects and music were recorded by none other than ourselves, leaving the total production cost to be only about $60 for the few resources we did not already own in order to create Grandma’s Sandwich. Download it for free and let us know what you think of our attempt to make an app game on a budget!